Height: 87 cm / 34 in. Materials: papier-mache, foam plastic, foam rubber, wood, metal wire, foil, plastic. 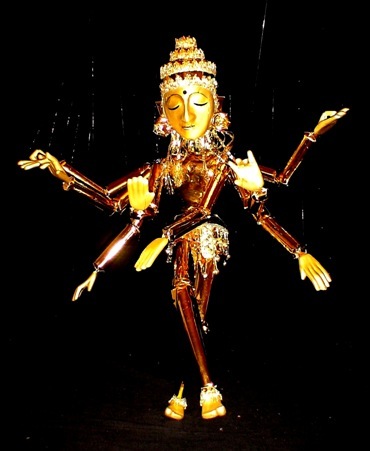 INDIAN VIGNETTE - animation of ancient Indian gold sculpture with 8 hands.